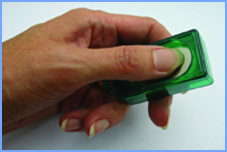 Clicker training is one of the most modern, effective and enjoyable methods available. Based on sound scientific principles, this tool will allow you to communicate with your dog – and train him or her to do practically any action you choose. For fun, one of my dogs sneezes on cue and the other one I taught to yawn on cue – both very difficult using traditional training, but simple with the clicker! A clicker is a small plastic box containing a piece of flexible steel. When pressed and released at one end, this makes a distinctive ‘click, click’ sound which can be taught to have meaning to your dog. Over a number of repetitions, the dog learns that the sound of the clicker means he’s done the right thing and that a reward – food, play or affection, is on its way. The clicker is not a cue, or a command, but a signal of reward (in technical terms this is known as a conditioned reinforcer) that tells the dog what he got the reward for. Your dog will make the association between the clicker and goodies by repetition and reward. The sound of the clicker marks the dog’s action as being right, a little like putting a tick next to a correct sum on a page. Why is the clicker effective? This initial neutral quality is one of the clicker’s greatest assets. However, the speed with which this sound becomes a conditioned reinforcer is amazing. Many orient themselves towards the clicker, not the food, in a matter of minutes. Nearly all dogs, no matter what their age, can be trained with the clicker. Some very nervous dogs may need additional time or help, while older dogs which have been trained in ‘traditional’ ways (we call these ‘cross-over’ dogs) may be a little reluctant to explore new behaviours at first. Some owners may need extra help at the beginning, simply to master the mechanical skill of holding the clicker and keeping the dog’s attention. We can help by team training – one of us has the food, while the owner has the clicker. Do I have to use the actual clicker? Well, no you don’t. You can use a clicker word, such as “Good!” but as this becomes a signal to your dog that a reward is coming, he should not hear the word at any other time. It is important that the word is short and accurately used. This is tough for most people, so we do tend to recommend using the actual clicker at least in the initial stages of training. Do I need to use the clicker forever? We tend to suggest that new exercises and tricks are taught using the clicker, as it makes ‘marking’ the correct behaviour so much easier for the dog – and for you. However, once your dog understands an exercise, you no longer need to reward it every time – so you don’t need to use the clicker. Interestingly, using a clicker in training may also have implications for us. One of my great interests is human cognitive psychology, particularly how we learn to think and feel about certain events. 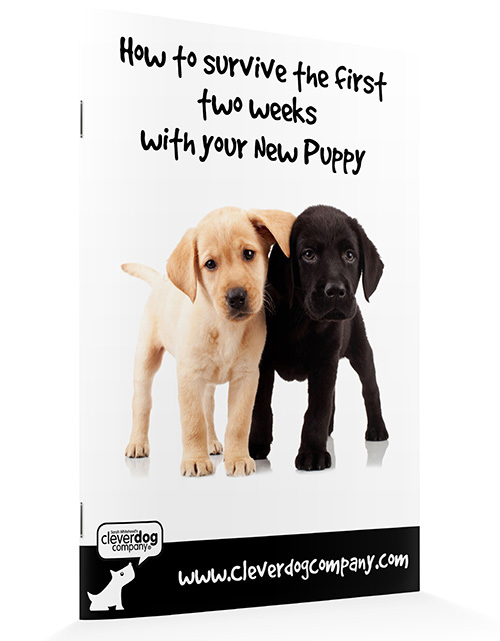 Ask most clicker trainers how they feel about training their dog with the clicker and they will tell you they love it! As the tool is always associated with positive events, it is possible that we build up associated responses to seeing it, holding it and using it. This may ‘anchor’ a positive emotional state in both dog and in the human at the same time. Happy training! Book on any of our classes and you receive one as part of the course. We will help you to learn how to use it correctly and get the best from your training.